The latest issue of Tram magazine (issue 100/11.2009-01.2010), confirms the scrapping of the accident-damaged Tram 2000 number 2060 (scrapped in July 2009), the first tram of its type to be scrapped. Concerning Mirage trams, 1675 which was fitted with matrix displays in 2008, is reported as having this change reverted. Folowing Mirages were scrapped in 2009: 1607/21/41/4-5. 1686 has been withdrawn following an accident. The following cars are reported in store or spare: 1606/8-9/10-1/3/6/8/23-8/30-38/40/2/86/710-2/23-5 (some of these have since left for Vinnitsa). Still in service on routes 2, 8 and 13 are: 1629/46/9-53/5-9/60/2-9/72-82/4-5/8. In Luzern, there are plans to build a new trolleybus line to Littau Gasshof to replace motor bus route 12. A realisation is considered possible within two years. 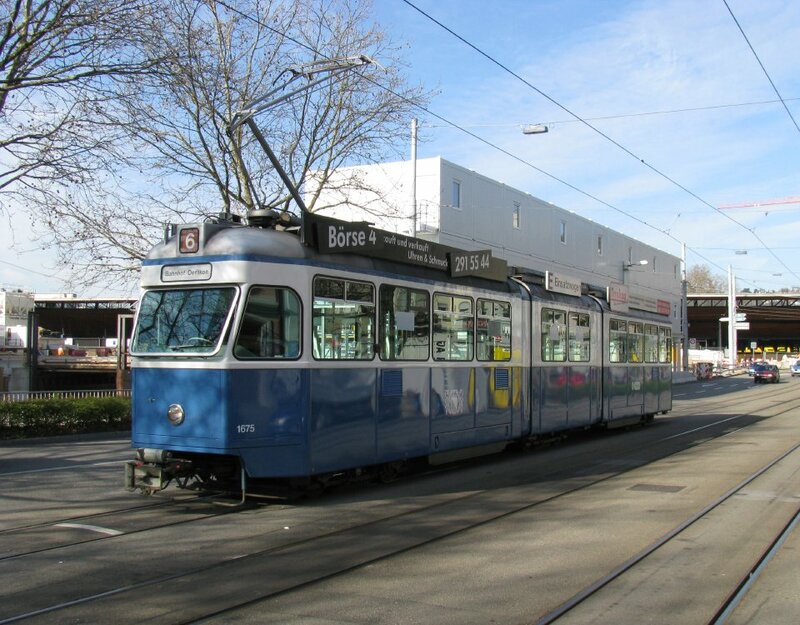 The days of Be8/8 trams with FFA B4 (standard tram) trailers is coming to an end in Bern. One set will be retained for the tram museum, with the other Be8/8s joining their sister units in Iasi (Romania). The trailers will be scrapped. The first of Neuchâtel's new Hess trolleybuses has been delivered. Prellbock magazine (issue 6/09) reports on the visit of Basel (BLT) Tango 154 to Bern. This tram was demonstrated from 11-14th November for the benefit of visitors of the Suissetraffic fair. This is the same tango that visited Zürich in April. The magazine also has an interesting article on Stadler's new Allegra units for Rhaetische Bahn, and on the delivery of the final NeXT units for RBS (RABe4/12 numbers 21-26).